Leaving the Simon Huntington House, look to the left, across the Norwichtown Green to the white Congregational Church at the intersection of Town Street with East and West Town Streets. 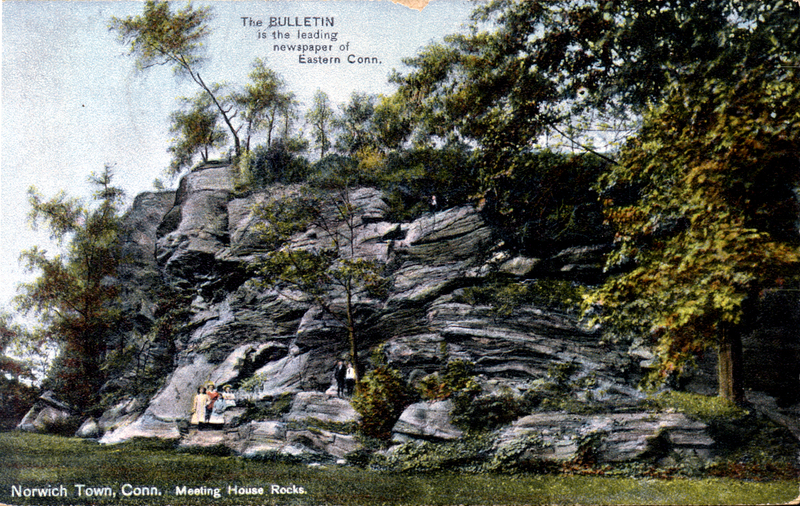 The large outcropping of rocks is known as Meeting House Rocks, and at its summit was the site of the first church, or meeting house in 1673. 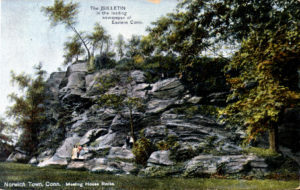 There is a path with a railing to the crest, which offers a commanding view of the area, particularly in fall, after the trees have dropped their foliage. The playful boogie-woogie beat of the song evolved from thoughts of “Jailhouse Rock”. Click below to listen to the song Meeting House Rocks.